NOTE: Day 2 has come to a close and the remaining field will return tomorrow at noon local time (4 a.m. PST). Stay tuned for a recap of the day’s events. Tomorrow, the field will play down to the final 27 or through six levels, whichever comes first. Tomorrow will also feature the final game in the high roller heads-up final match between Gus Hansen and Jim Collopy to decide who will take home the gold bracelet for event No. 4. The best-of-three match is tied 1-1. Daniel Negreanu furthered his efforts to make a third WSOP Europe final table during the last level of the night. 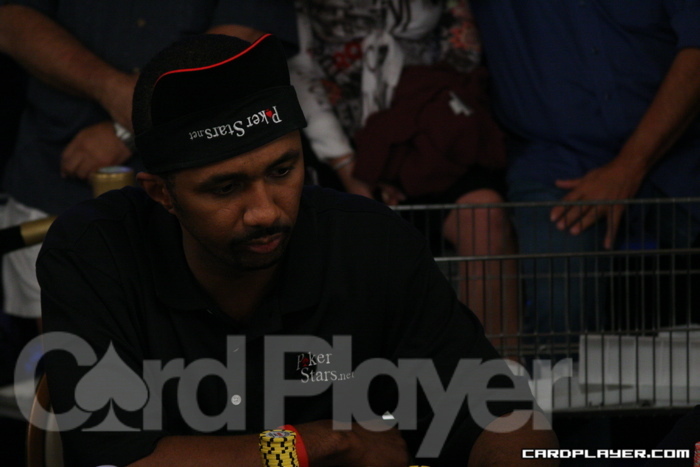 In a recent hand Negreanu checked a Q 8 3 K board and David Peters bet 15,700. Negreanu made the call and the river brought the J . Negreanu took the initiative this time and bet 45,000. Peter mucked and his stack dropped to 280,000. Negreanu held 156,000 after the hand, more than enough for him to make some moves with tomorrow. Baldwin lost the hand and Do grew his stack to 136,000. Phil Laak was eliminated from the tournament when his A-K ran into pocket fours and there was no help on the board for the Unabomber. He still leaves London with his first gold bracelet. Making for a successful jump across the pond. Bansi was eliminated after the hand and Biechel held 130,000. Barny Boatman raised to 5,100 under the gun and Arnaud Mattern reraised to 14,400 from middle position preflop. Boatman made the call and then both players checked a K 8 3 flop. The turn fell 7 and Boatman checked. Mattern bet 13,000 and Boatmn made the call. The river fell 8 and Boatman checked again. Mattern bet 26,000 and Boatman went into the tank. He eventually made the call but mucked his cards when Mattern revealed A K . Boatman dropped to 110,000 after the hand and Mattern held 300,000. Tony Cousineau was down to his final 14,000 when he decided to call a bet from Clint Coffee that was devised to put him all in. Cousineau was in the lead with pocket queens against the A-3 of Coffee, but the board brought a third ace and Cousineau was eliminated. Dmitri Nobles got involved in a four-way pot early after calling a preflop raise from the button. The flop came J 8 6 , the player in seat 1 bet out 275 and everyone called. The 9 came on the turn and this time action checked to Nobles, who bet 775 and was called by two players and the other folded. The river was the A and action was again checked around to Nobles who elected to check as well and flip over his 7 5 for the straight, explaining he was scared someone might have been setting a trap. His opponents mucked and Nobles saw his stack jump to around 9,000. J.C. Tran, coming off a 7th place finish in the $2,000 No Limit Hold'em tournament Friday, was back to work. From the button, Tran raised from the button and stole the blinds, improving his stack to around 5,600. A few tables away, Shannon Shorr, coming off a 2nd place finish in the same event, got up from his seat at this tournament and took a little walk around the poker area to say hello to a friend playing in this tournament. There's no rest for the weary at the World Series of Poker. Layne Flack is seated next to Andy Black. Flack won a pot early when he bet out on a A Q 9 6 4 board and his opponent folded. Flack was up to around 6,000 after the hand. 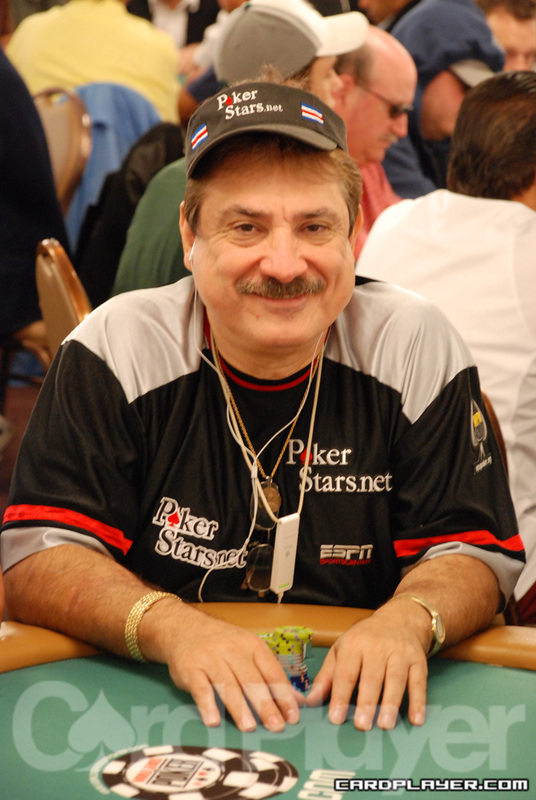 With a pre-flop raise if 150, three players saw a flop including Jamie Gold from the small blind. The flop came A Q 9 , it was checked to seat 7 who bet 150 from the cutoff. Gold called from the small blind while the third player dropped out. 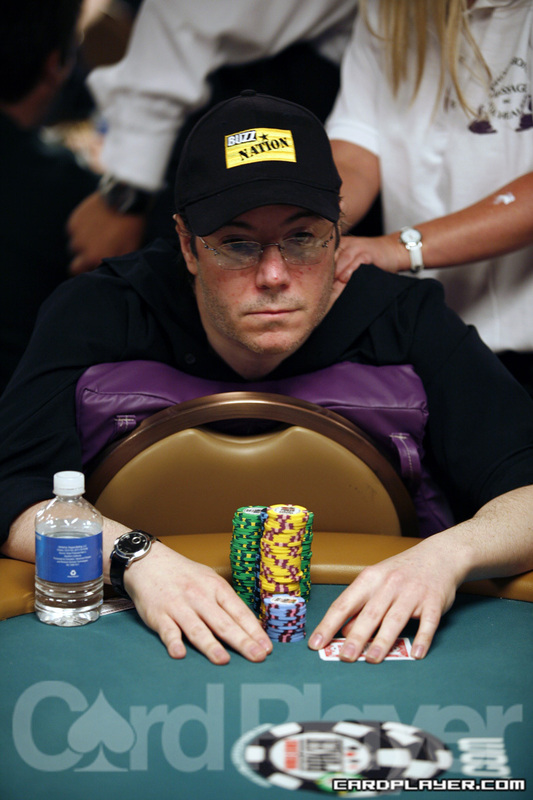 The turn was the A , and first to act, Jamie Gold moved all in for just about 3,000. The cuttoff went into the tank for several minutes as Gold tried to coerce him into a call. "No ace? I guess if you had an ace you would have beat me into the pot. You're probably drawing dead." And with the same slick trash talk that won him his bracelet in '06, Gold taunted his opponent into making a call. Gold turned over A K while the cutoff showed A 8 . The river was the 4 and Jamie Gold doubled up to just over $7,000. The flop was Q 3 7 . Humberto Brenes led out with a bet of 200. Phil Laak made the call. The 8 showed up on the turn. Brenes led out again, betting 600. Laak again made a quick call. The river was the 2 and Brenes fired another shot of 1,000. Laak made the call and Brenes turned over 3 3 for a flopped set. Laak mucked and his stack was down early to around 3,500. Brenes was around 8,000 after raking in the pot. On a board showing K 10 8 J , the player in seat 2 moved all in. Quinn Do made the call and his opponent showed K-J for top two pair. It was not good enough however, as Do turned over pocket kings for top set. Seat two was drawing dead, so of course the J had to come on the river to give him the sucker's end of a full house. Do improved to well over 12,000 in chips.